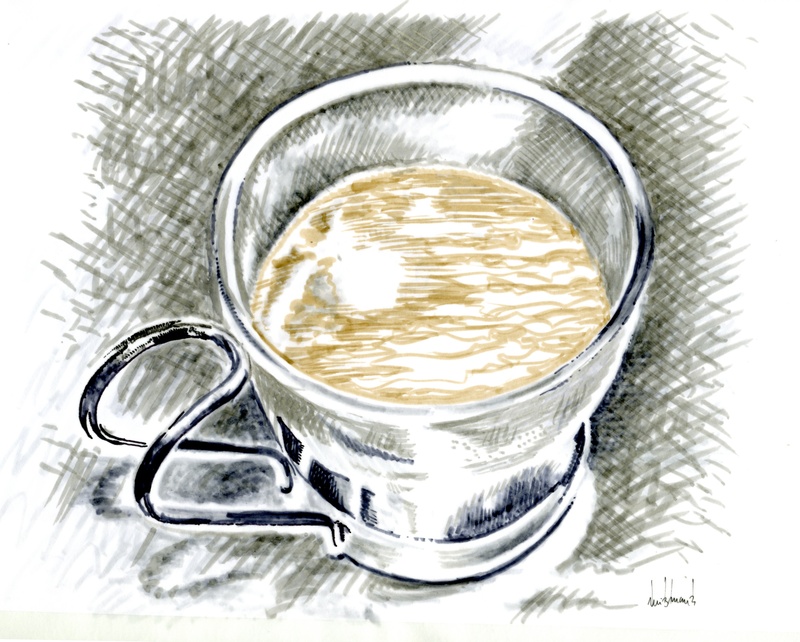 Uma bica, Rui Barreiros Duarte, ink on paper, 2012. You can order an espresso by saying: “Um espresso, por favor. “ (oom espresso poer faevoer). “Um” means “one,” and “por favor” means “please.” This method works fine, but the Portuguese don’t use the word espresso. So, here’s how to order coffee like a local. In Lisbon, an espresso is called a “bica” (pronounced beeca), so the right thing to say is: “Uma bica por favor” (ooma beeca poer faevoer). In case you’re wondering, “bica” means spout, so the name probably comes from the spout that channels the coffee into the cup. Now that we covered the basics, let’s discuss some advanced topics. There are two types of “bica.” The “bica curta” (beeca coorta) is a short espresso, sometimes so short that you can barely taste any coffee. A “bica cheia” (beeca sheia) is a long espresso. 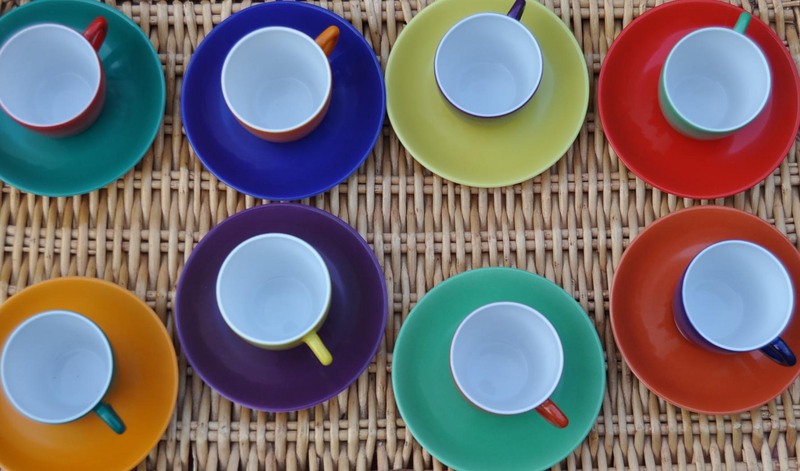 Your choice of bica reveals a lot about your personality. People who like the “bica curta” are usually intense, while those who enjoy the “bica cheia” tend to be more relaxed. In Oporto they call an espresso a “cimbalino” (ceenbaleeno) in homage to La Cimbali, a popular Italian brand of espresso machines. Foreigners who know this arcane fact are often honored with a state banquet and given the keys to the city. Where can you find a list of the best coffee shops in Portugal? There’s no such list. With more than three centuries of experience brewing coffee, Portugal has as many great coffee shops as beautiful beaches. Martinho da Arcada, Maria José Rebelo, monochrome digital print image, 2012. Martinho da Arcada, a café in Terreiro do Paço, is a time capsule. 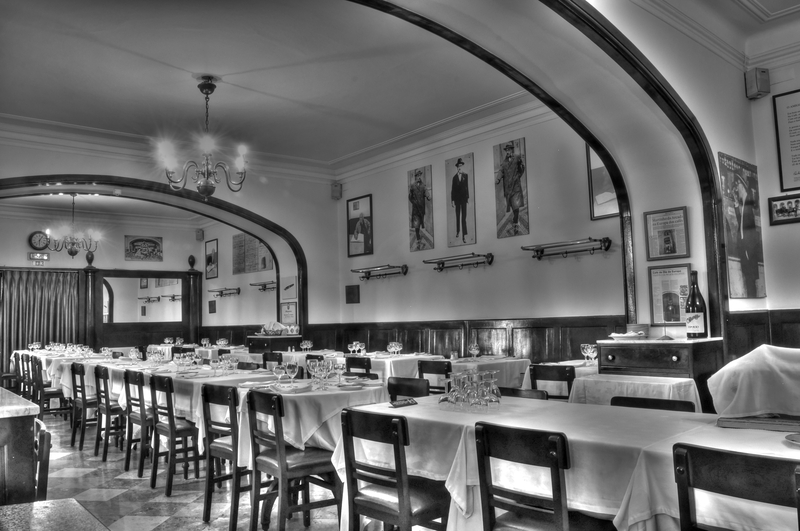 It shows us what Lisbon cafés looked like in the first part of the 20th century. It is an austere place and, yet, it was here that the poet Fernando Pessoa wrote some of the best poetry in the Portuguese language. Do the muses still gather at Martinho da Arcada, waiting to whisper their rhymes to those willing to listen? There’s only one way to find out. Take a pen and a pad of paper, sit down at one of the tables, order some coffee, and watch what happens. 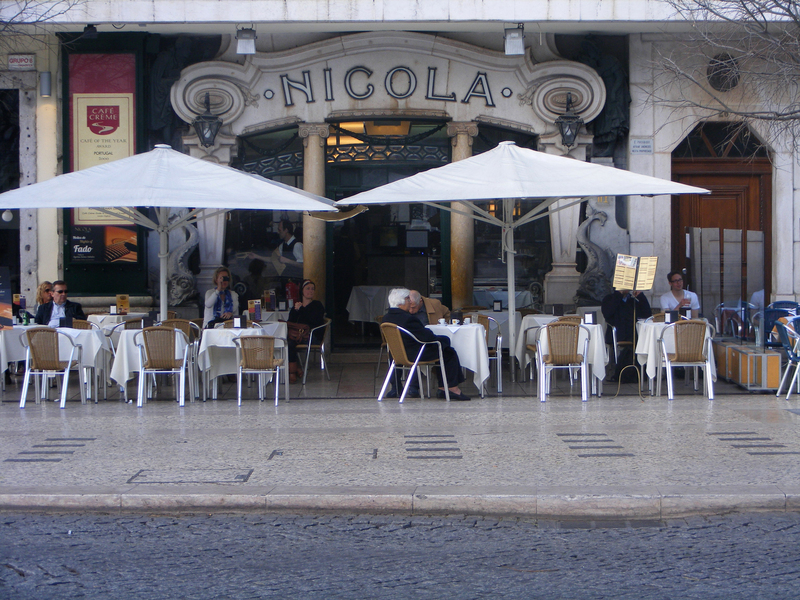 Nicola, a famous café in Lisbon, opened its doors in the late 18th century. Run by an Italian emigrant, it became popular in literary and political circles. Here, you could listen to the latest government gossip, conspire against the prince regent, or hear Bocage, a bohemian poet, improvise brilliant verses. All this fun came to an end with the Napoleonic invasions—French officers adopted the Nicola as their gathering spot. So, when the French retreated in 1808, Nicola threw a grand independence party. In 1929, Nicola moved to its current location, featuring the art deco architecture that you can see today. At Nicola you can do it all, improvise poetry, start an insurrection, celebrate independence, and have a great cup of coffee. Fernando Pessoa, Rui Barreiros Duarte, ink on paper, 2012. It is not easy to write about the great poet Fernando Pessoa. Even if we weight every syllable, our words are still too heavy to describe his graceful prose and sublime rhyme. So, perhaps we should stick to the facts. Pessoa was born in Lisbon in 1888. His father, a journalist, died when he was young. His mother remarried and moved to Durban, South Africa, where Pessoa received a British education. After returning to Lisbon in 1905, Pessoa earned a modest living making translations and writing business letters. He published poems, essays and literary criticism, but remained unknown during his lifetime. Many of his poems were written in coffee shops, at Brasileira in Chiado or in Terreiro do Passo’s Martinho da Arcada. He wrote under different identities, each with its own personality and distinctive style. Some say that Pessoa and his four major pen names, Álvaro de Campos, Ricardo Reis, Alberto Caeiro, and Bernardo Soares are the five finest Portuguese poets. Pessoa died in 1935, at age 47, one year after publishing his first major book, The Message. He left a literary treasure trove: a trunk full of poetry and prose, including The Book of Disquiet, which, published in 1982, created a new wave of interest in the poet. Reading Pessoa can change your life, at least that’s what happened to the Italian writer Antonio Tabucchi. 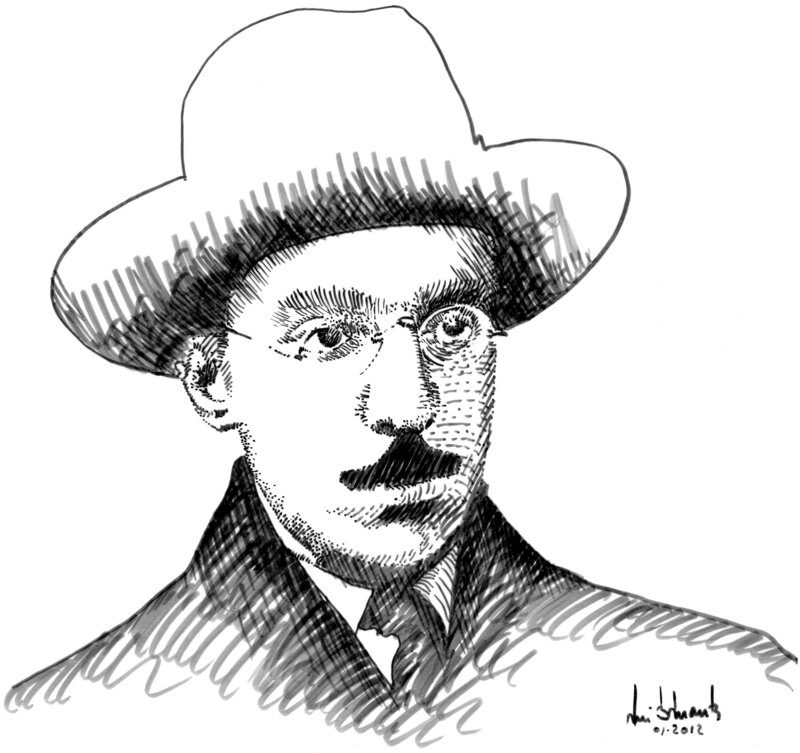 A chance encounter with Pessoa’s poem “A Tabacaria” (The Tobacco Shop) made him fall in love with the poet’s work and with the language and culture of Portugal. Here are the first lines of “A Tabacaria” translated by Richard Zenith. Read them at your own peril. I can’t want to be something. 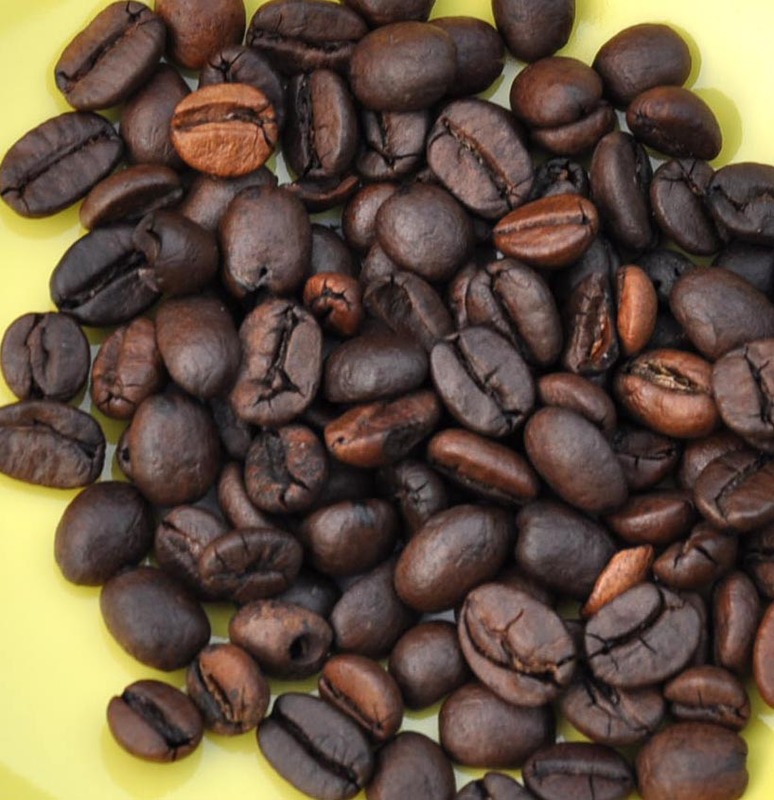 Coffee lovers are on a constant search for aromatic coffee beans, roasted to perfection. They get up early on weekends to study Italian, hoping to uncover the nuances lost in the translation of their espresso-machine manual. They mumble incantations like “ruotare la manopola in senso antiorario per aprire il rubinetto di erogazione vapore” with a passion normally reserved for the poetry of Dante. They listen in rapture to the machine’s rumbles as the water rushes through the coffee at the ideal pressure. But, after all this effort, they pour their brew into bulky, thick porcelain cups. European cafés use these cups, they tell you with pride. True, but cafés only use them because they rarely break. The coffee tastes so much better in thin coffee cups! Vista Alegre, the great Portuguese porcelain maker, produces the best espresso cups we have ever tried. They have the perfect shape and come in bright, joyful colors. These cups are hard to find outside of Portugal. So, if you are visiting Portugal, here’s your chance to bring something unique to your java friends. Here is a link to the Vista Alegre website. The Portuguese produce wonderful coffee. “It tastes like cognac,” an American friend said, admiring the smooth taste of Delta coffee. This coffee is so good that Delta exports it to Brazil. It has taken three centuries of experience in three continents to learn to roast coffee that tastes like no other. All so that we can wake up in a good mood, looking forward to our first cup of brew. Click here to visit Delta‘s web site.